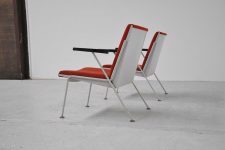 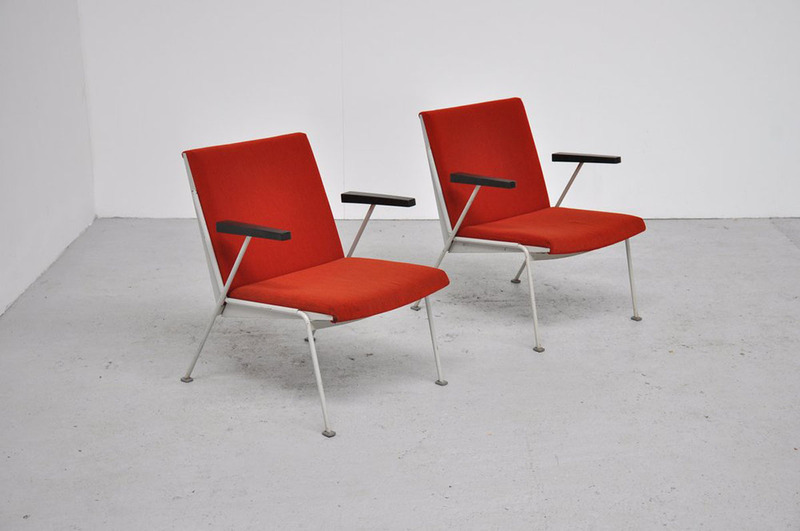 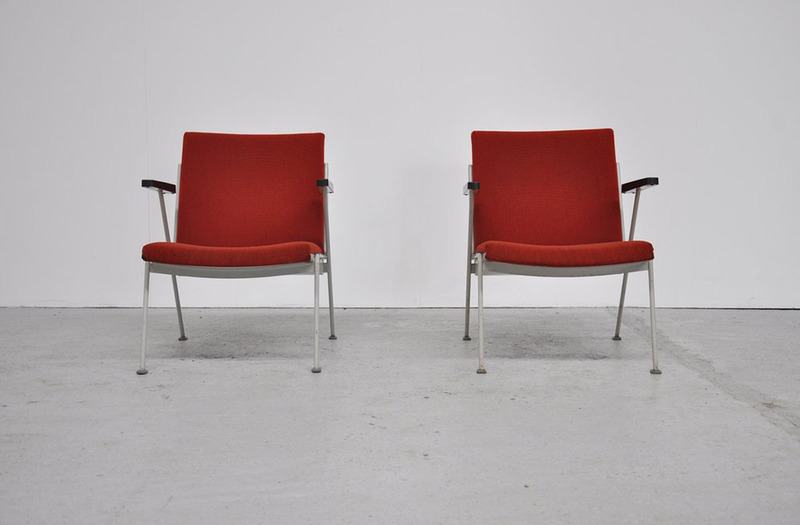 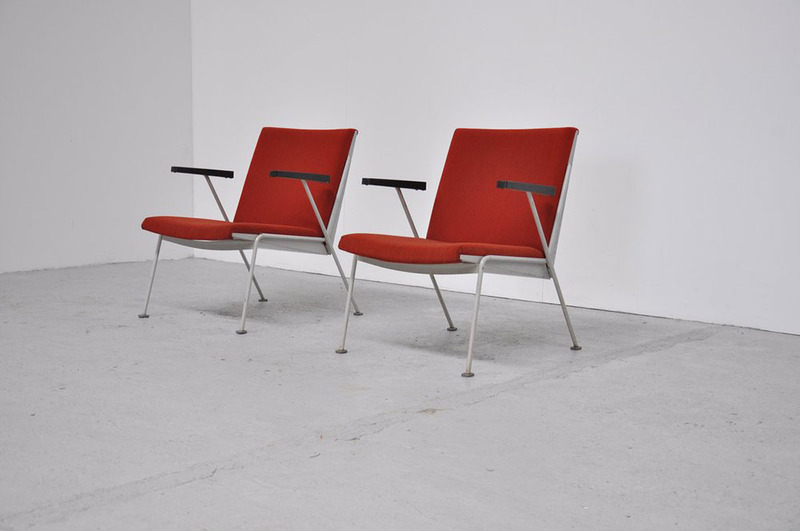 Here for 2 very nice pairs of Industrial easy chairs type Â´OaseÂ´ designed by Wim Rietveld for Ahrend de Cirkel in 1958. The chairs were made of a grey lacquered heavy metal frame and have a red fabric seat and back. 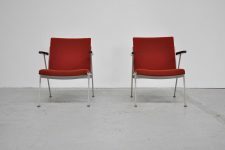 Both pairs are in fantastic original condition, foam is still good and the fabric doesnâ€™t have holes, tears or other damages. 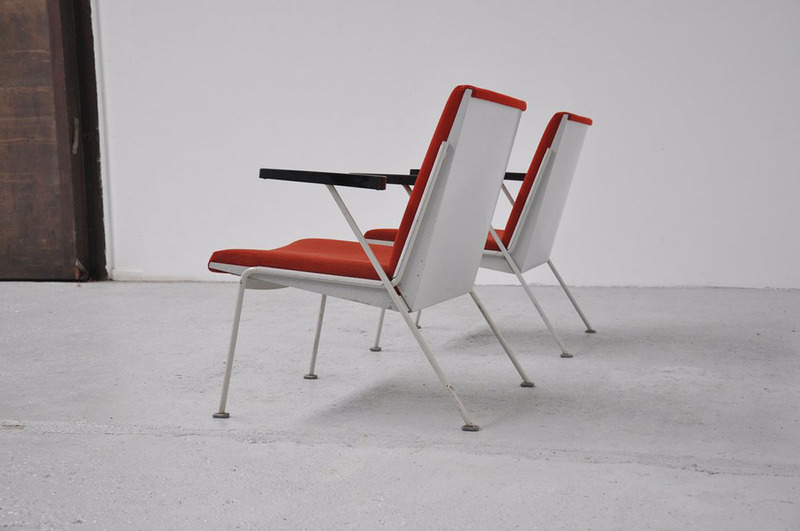 The chairs have a nice old patine, come from TU Eindhoven and look great colorful.